The Golden Prana Institute is about Pranic Healing and it is focused on rebalancing vital energy, channeling Prana through courses, therapies and education. Pranic Healing acts on the bioplasmic body with physiological results, in other words, furthering the healing. The human body is composed of two parts: the visible, touchable physical body and the bioplasmic body, which is made of a subtle and invisible energy. These bodies interpenetrate and interact, exchanging energy. We feed from the vital energy, also known as vital power, Prana, Ki, Pneuma, Mana, Ruah, from this infinite source that is the Universe in its natural manifestations: air, earth and water. 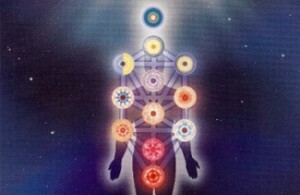 We have energy centers permanently receiving and irradiating energy, known as Chakras. When the Chakras are unbalanced, they do not receive and waste vital energy or Prana, which is necessary for our physical, mental, emotional and spiritual health. Knowing the energetic process, the Pranic Healer finds the instability and removes the deleterious Prana, replacing it with pure, healthy Prana, attracted from the air, thus balancing the energetic body and, consequently, the physical, mental and emotional bodies. It is a service done with knowledge, without any reason for mystification, as it is logic and simple. The results can be immediately proven or little by little, according to the patient’s physical and energetic commitment. IPE Dourado is also part of the institute. It’s a project with focus on children and youth, created by Pranic Healers from the same institute. It was designed within the philosophy and concepts of Pranic Healing and Arhatic Yoga by M.C.K.S. (Master Choa Kok Sui).